Sorry if it has been posted somewhere else. Detailed description, conditions: When on a MP game, the chat color will sitch from blue to red and back within the same conversation and without me switching to the other team. I can see my own colors changing randomly. It becomes very hard to know who is in your side once this happens. Also, I got confirmation from other players online who were experiencing the same issue, so it looks like it's not just happening to me. I have this problem also in my MS FFB2. Generaly a force feedbck starts to work correctly when you go to desktop and came back to BOS. Usualy this proces has to replay a few times before FFB work correctly. There is lack of pre stall shake force feedback buffeting. There is any effect of it. Only i got stick buffeting at high speed dives. Your PC config data (OS, drivers, specific software): Windows 7 64 bit, Saitek Evo Force joystick ( force fedback), staitek drivers and soft. I got 100% force fedback effects in game menu, force feedback enabled. It looks BOS got problem with some force fedback sticks cause other guys with different stick got no problems. Detailed description, conditions: Often, you pres fly to start mission, but the Map stays fullscreen and you can't see the cockpit. 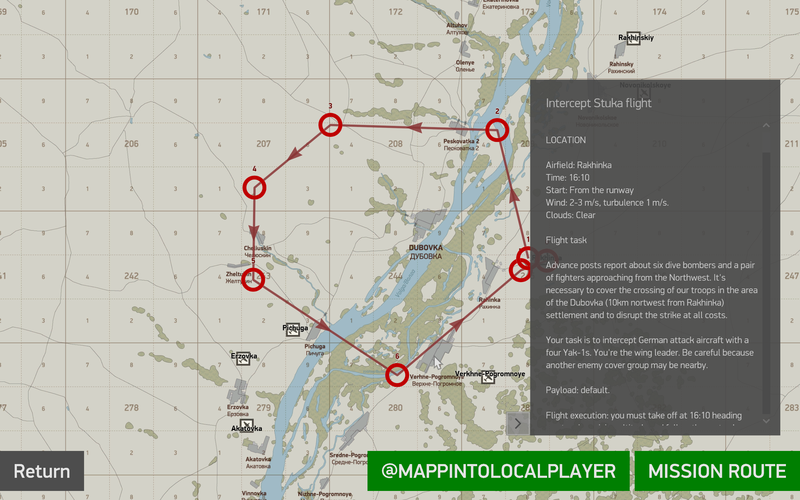 Detailed description, conditions: Just after mission begins, "My Plane" button of map reads "@MAPPINTOLOCALPLAYER" instead. Closing and re-opening the map after a moment shows correct text. Win7 x64, i7-4790K (4.00GHz), 16 GB RAM, NVIDIA GTX 780 3GB, driver 347.52. As reported multiple times before, the trim commands do not work in the He 111 when using a MSFFB2 joystick. Brief description: Esc Key Bug has re-appeared after latest update. Ran about 6 or 7 QMB missions today testing for hit sounds, and in more than 50% of those missions I could not end the mission with the Esc key. When it didn't work, had to Alt-Tab out and shut down BoS from Windows. I checked and the command is properly assigned, and sometimes it would work, sometimes not. This was happening fairly regularly a few updates ago, but had been acting properly more recently. Detailed description, conditions:The instrumetns read incorrect data from what the aircraft is actually doing. It happens in Both the HE and the PE. any controls you want and it still works. It's a real problem having to reassign controls because of this. I spent the whole time trying to calibrate my joystick (saitek cyborg evo Force). It will not be the best but not the worst, and so far it has always worked well. In fact I read that they are not alone in having problems with this model. and when you pull the lever joystick to the maximum in reality simulator does not feels the greatest intensity, lack of value not calibrated forward, and makes it unplayable. using the adjustment sensitivity helps but does not solve, especially when pull at maximum. I am very disappointed and hope I have not wasted my money. P.S. : in windows device and in other game (Rise Of Flight) joystick works well. Detailed description, conditions: When adjusting the speed and inertia of camera rotation and zoom any changes made to the settings do not affect anything (the cinematic mode & head shake settings do work and are saved properly). They appear to save until you reload the game and notice that they didn't in fact save at all; the options screen shows the earlier values. Even the reset to defaults doesn't work (except for cinematic mode and head shake), it seems to do something at first, but no effect and the changes aren't actually saved. I'm actually not certain about the default view mode, it may or may not stick. Nevermind, this seems to be working just fine again, must've been some sort of a glitch on my end. In an effort to inverse the X axis for external view controls when using a mouse, I went to Camera Controls in the Key Mapping section and clicked on the Inverse button for "Mouse X" input on "Rotate camera left/right." Then when in-flight, if I use any external views, the X axis of view control completely stops responding to the mouse, the mouse can only move the camera in the Y axis. I then tested to see what happens if also inverted the Y axis control for "Rotate Camera up/down" and the same thing occured; the mouse simply no longer affected the camera in external view. I also tested the same thing for controls of "Bow pilot's head vertically" and "Bow pilot's head horizontally" and the same thing occured; inverting the mouse control axis resulted in the mouse control not working at all. The one setting I found that did in fact work was if I went to Input Devices and checked the box for "Invert Y axis" on the mouse, which functioned correctly. But I could not find a way to make the Inverse settings in the controls work correctly. Bombsight altitude controls are binded to arrow keys and cannot be changed.  I have binded auto-pilot to down arrow key and auto-pilot turning keys to left and right arrow keys. When I'm airborne and change position to bomb sight, my altitude setting is adjusted up/down with the left/right arrow keys. So when I correct my heading with arrow-keys, the bomb sight altitude setting is changed in process. I can't find binds for the bombsight altitude settings in control setup. Mouse Wheel after remapping from 'Pilot Head Controls -> Pilot Head: Zoom' to 'Engine Controls -> Engine Throttle Control' is with each game restart remapped back. I did remap Mouse Wheel to act like Engine Throttle instead of Pilot Head Zoom. After accepting I can play with the new mapping. But each time I start the game again the Mouse Wheel is back on Zoom. I tried also remove all other Mouse Wheel mappings and leave it just for throttle but problem still remains. I know at least about one other user facing the same issue. Controller Settings - Warthog stick, Saitek throttle and rudder pedals. Post 1.10.1 - each time I enter the game I have to reset the key bindings for the controllers. The joystick "number" changes, ie joy0_axis_Y will have to be updated to joy2_axis_Y. This is for all functions assigned to controllers. Reinstallation is not necessary. Bug seems to be related to entries in startup.cfg. Getting a new one solves. When being in the rear gunner in the He-111 there is an importand angle where you cant aim. Aim towards the rudder and as far down you can then slightly move up. You will see that at some degree you cant move up anymore. It just holds. Then you continue to move up and the aim will "pop" up a bit. It is a vital thing because many AI aircrafts tend to be in that spot and you just cant fire back. 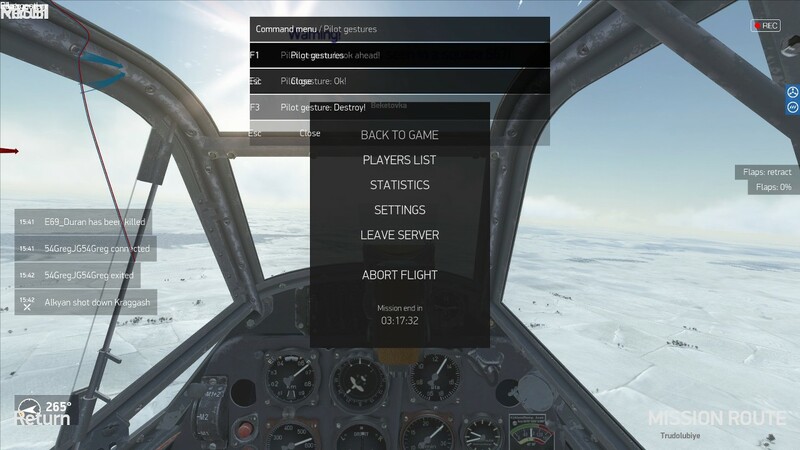 When AI-autopilot for level flight is enabled and LShift+Z/X (left turn/right turn) is used while in the gunner position, LShift+T (nestle to the gunsight) will sometimes no longer work correctly and it's not possible to look through the gun sight because the view doesn't center in the correct position. So far I've noticed this problem when flying the He-111, Pe-2 and Il-2, but not in the Ju-87. 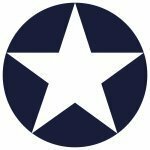 Brief description: P-40E-1 needs a bit of force feedback on machine guns. Detailed description, conditions: The P-40 has no feedback on joystick when firing. Your PC config data (OS, drivers, specific software): MS Sidewinder 2 Force Feedback. Detailed description, conditions: Prop pitch does not respond any commands when cold start is selected from the option OR starting point is parked. Levers move like they should but engine won´t take commands. Even when select AUTO/MANUAL. And after 5 minutes flying game crashes. (occured and tested once with cold start and parked) When choose option to start from the runway, everything works fine even when "cold start" is selected. 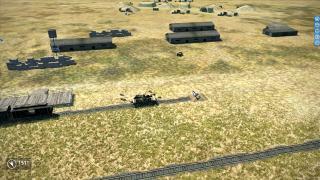 Detailed description, conditions: Flying online with P-40 with rockets&bombs and recording track. When going to view tracks afterwards I get the following pop up box which crashes the game. The mouse ingame doesn`t work properly. The pointer is bigger than usual and very hard to move and point. To change the ingame mouse sensivity option doesn`t change anything. 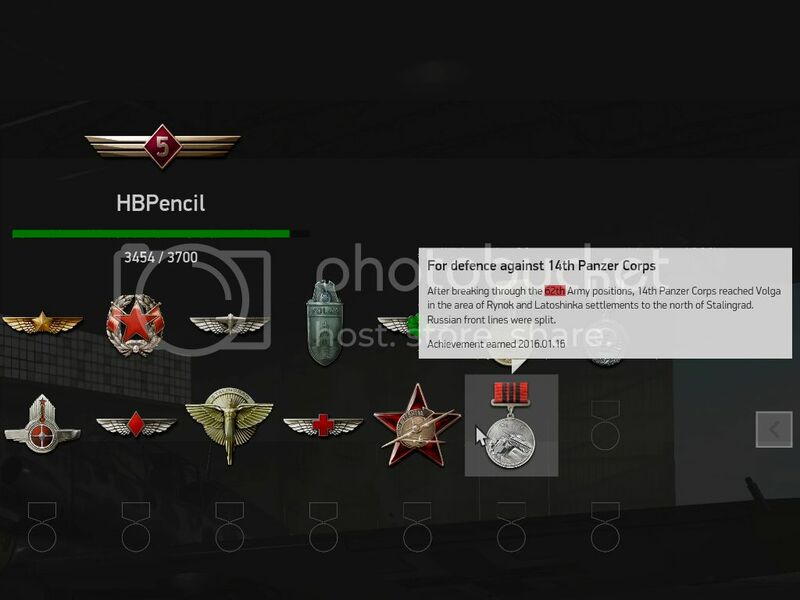 That problem exist only ingame Il-2 Battle of Stalingrad. My mouse works fine in any other game and in windows. When starting the game the windows sound mixer is always reset to the same as default level. I normally have in game turned up to max and then turn down the game volume using the windows mixer but when you restart the game it is back to the default level again. Only happened since the patch. Not sure if a bug or just an oversight with the new mouse aim but it hinders fly-ability a lot. When using more than one monitor, the mouse moves outside the game and when pressing any mouse button the game deselects. When full screen the game minimizes and in windowed it deselects. This also happens in all menus etc. Only way to fix this (so far) is to switch the screen setup to single screen but that kind of defeats the point for several screens, doesn't it? Can't rotate pilot's head with mouse while holding down Shift button. I use the mouse to rotate my pilot's head. I mapped the Shift button + another key to several actions that require a keyboard button to be held down continuously: Shift + F to raise flaps, Shift + W to open water radiator for example. When those keys are engaged, the mouse does not respond and I cannot rotate my pilot's head. This problem doesn't exist for Ctrl or Alt buttons, so I can rotate the pilot's head while dropping flaps for example (Crtl+F), but not while raising them. I use Joy-to-Key to map joystick buttons to keyboard shortucts, but the problem still persists even if use the keyboard directly. The simple workaround was to use Ctrl and Alt keys only and not Shift, but I thought I'd report the bug anyway. I want to apologize that I have so overheated responding. has been done. simply rename in joy2_pov0 ... if necessary. Brief description: Fw190's 20mm cannons are now linked with the machine guns - but should not be. Detailed description, conditions: When you press the machine gun button in the Fw190, the cannons fire. But only the Machine guns should. When you press the cannons button, the cannons don't fire, but they should! Brief description: Both Bf109s and Fw190's TrackIR Headroom when "leaning forward" is restricted too much now when you move forward you hit an invisible wall. Detailed description, conditions: Under Settings -> Key Mappins -> Main Controls -> Plane Control: Pitch = oridinary settings of the Y-Axis. This means: pushing the flightstick menas "nose down" and pulling the stick means "pulling up". The settings are confirmed with the control and test panel -> "Input responses: planbe control: pitch". Nevertheless, in game, the response to the flight stick input on the Y-axis is the opposite. Your PC config data (OS, drivers, specific software): input device for flying the simulator is the "THRUSTMASTER Hotas Warthog"
Memory read error when trying to enter aircraft. I'm posting this here because in the last update it said that if you experience this type of crash to report it. 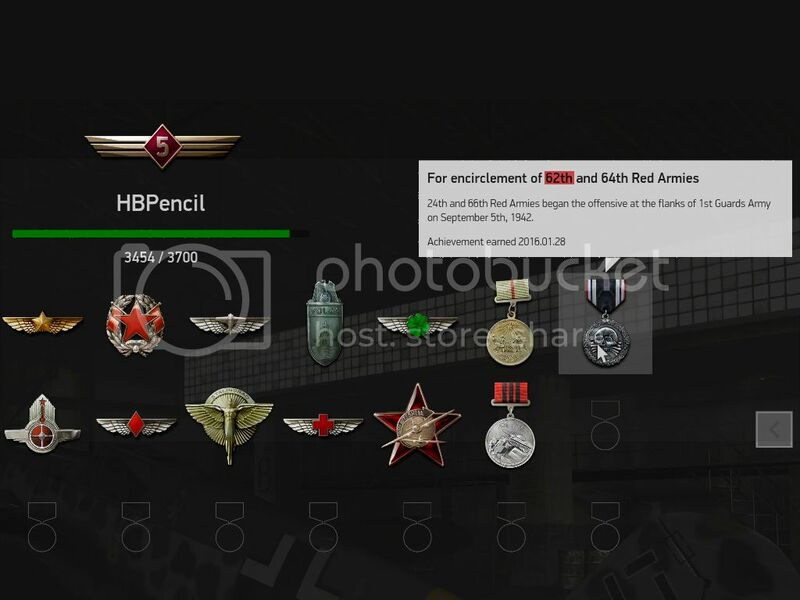 Detailed description, conditions: There's a grammatical error (English) with two of the achievements on the Pilot Card which I've highlighted in the screen shots below. It should read 62nd rather than 62th. Brief description: The "Open Bomb Bay" lever in the gunsight screen did not work as before for me and another guy on my flight when using He111. 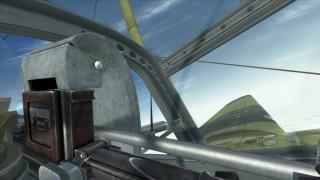 Detailed description, conditions: We were flying He111 in MP and when using the open bomb bay lever from the bombisght screen we encountered weird behavior. Sometimes the bombays opened but the lever stayed in the "closed" position, or the bays wouldnt open. Detailed description: It seems only the locomotive item has icons/labels and wagons do not. If you place a single anti-aircraft platform (without locomotive) - there will be no icon (see screenshot). Detailed description: iirc before the patch you could set your view angle in auto and switch to manual and back whithout the auto view angle being changed. Thus you could use auto for lining up with the target and manual for the release. This does not work anymore and makes bomb runs more difficult. I found out that the view angle setting is saved if you go via "view" from "manual" to "auto" and back. Problem solved. Same as gutterrat13 posted on November 2014. Trim only works when FFB disabled. Otherwise, uncorrectable pitch up. With force feedback enabled, elevator trim feels stuck fully tail heavy; trimming has no effect in bringing the nose down. The only way to do so it to slow until the a/c stalls. FFB bias seems wrong (having no neutral setting). Flying straight requires constant forward pressure on stick. Turns and shooting are nearly impossible. With force feedback disabled, everything works as it should (except no "spring" tension to assist); aircraft can be trimmed for level flight at any speed, or trimmed to assist climb/decent/turn. This behavior predates (but includes) the current game build. Solved by suggestion to avoid USB 3.0 ports. Forces and trim now very good when MS FF2 uses legacy USB port.